R60 MINI Countryman Non S 2WD Magnaflow Catback Exhaust. 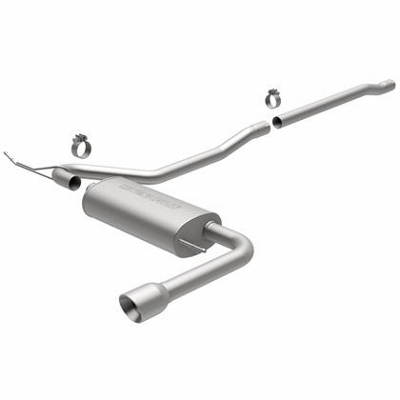 This Exhaust is designed as a replacement exhaust that connects after the second cat on the stock exhaust. To install these you cut your stock exhaust and slide this front pipe up to it and install the rear section. Exhaust pipe size is 2.5inch diameter. This Magnaflow Countryman Exhaust has a 4inch single polished exhaust tip that looks great too.